Voice technology is available across all of the Accord warehouse management software modules, including Order Picking, Goods Receiving, Stock taking, Put Away, Picking Face replenishment and Labour Management. It is suitable for both standard and bonded warehouse operations. The system uses speech recognition and speech synthesis to allow workers to communicate verbally with the warehouse management system (WMS). Workers use a wireless, wearable computer with a headset and microphone, which links to the server via a radio frequency network. In Voice Picking, for example, the order picker is instructed by voice, via the headset, what to pick and where to pick it. He then verbally confirms his actions back to the WMS system through the microphone. 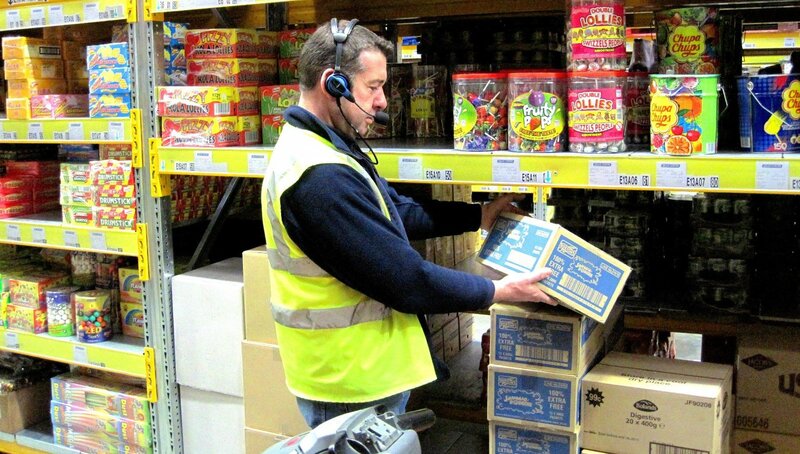 Voice technology allows users of Accord Warehouse Management software to maximise the benefits of real-time, hands-free and eyes-free interaction with the system. It generates major performance benefits, especially in terms of accuracy and productivity. Systems typically pay for themselves within a year of installation, often within six months. The Accord Voice WMS software modules offer you the flexibility of taking them as part of a full Accord supply chain implementation or as a stand-alone Warehouse Management System to interface to third party Order Processing and Stock Control software. If you already have suitable Warehouse Management software we can supply a Voice warehouse execution (WES) system to voice empower that WMS system.